Sorry it's a little blurry. Best of 5 pictures. Crap! 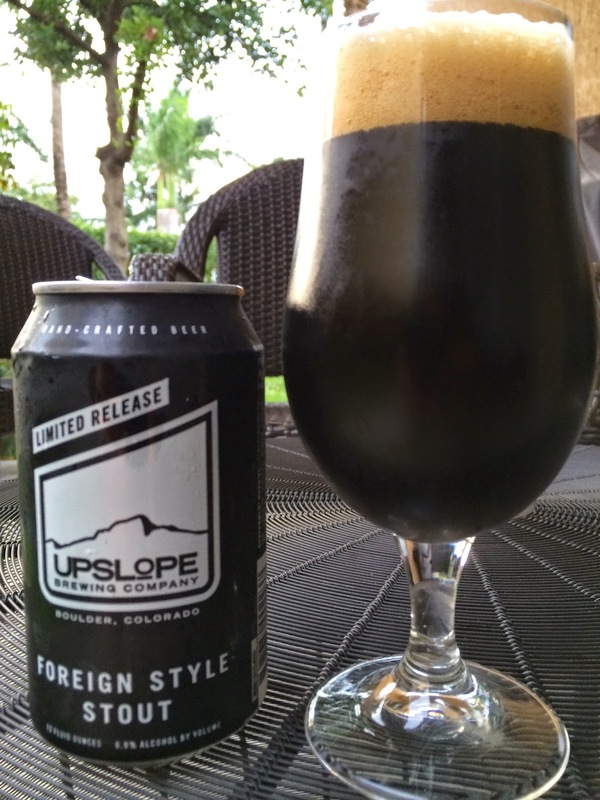 I was recently given the opportunity to check out Upslope Brewing's Wild Saison, and the agency representing them followed up with their Foreign Style Stout. This beer was also canned but just the normal 12 ounce size. 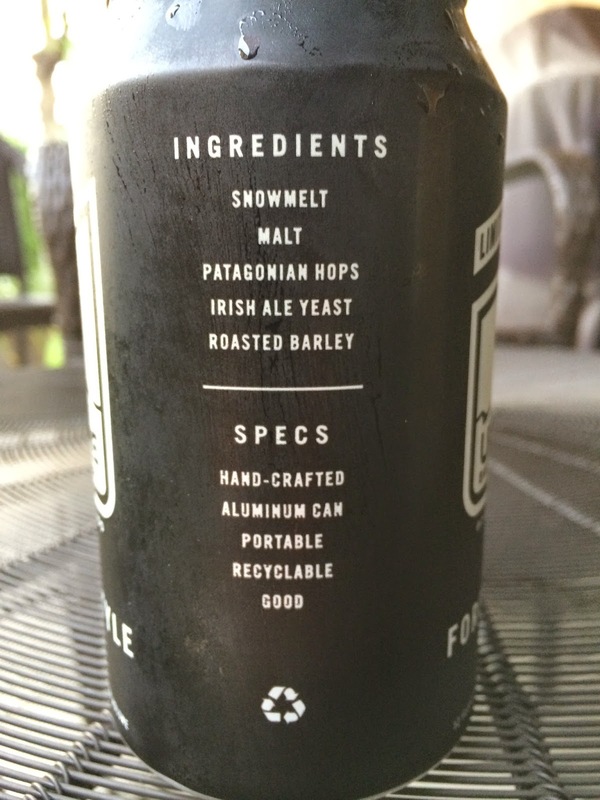 Very simple design, black and silver, with ingredients and specs listed to the side. 6.9% alcohol. Nice head! Light coffee and roasty aroma. Bitter coffee flavors are first and remain dominant throughout. Good roast, almost to the point of burnt, comes with a hint of chocolate. That chocolate flavor builds throughout and is bigger by the time you're finished with the beer. Creamy, nice mouthfeel, with a pleasant lingering aftertaste. Good flavors, decent overall, but not one to keep drinking all night. Check it out though.